The Image Warp tool lets you rework and adjust an image like it was made of rubber. There are numerous modes available for different effects. The Strength slider can have a big impact on the usefulness, depending on the image and the mode. In this image a click and drag was done to stretch the stem up. 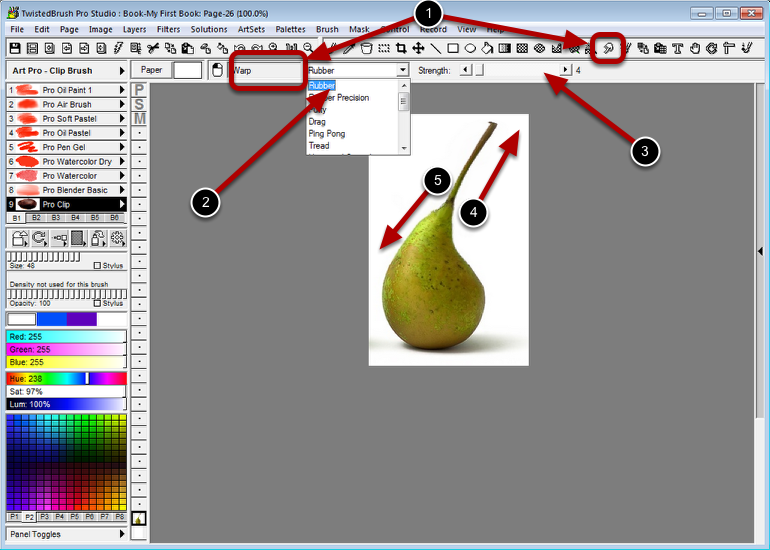 Also a click and drag was done to compress the pear down.